This wireless concept was first pitched by me in 2008 but became a reality first in 2011. There are competitior with similar concepts out there but this one is unique in the sense that it’s slimmer, thus making sense to wear while runing. 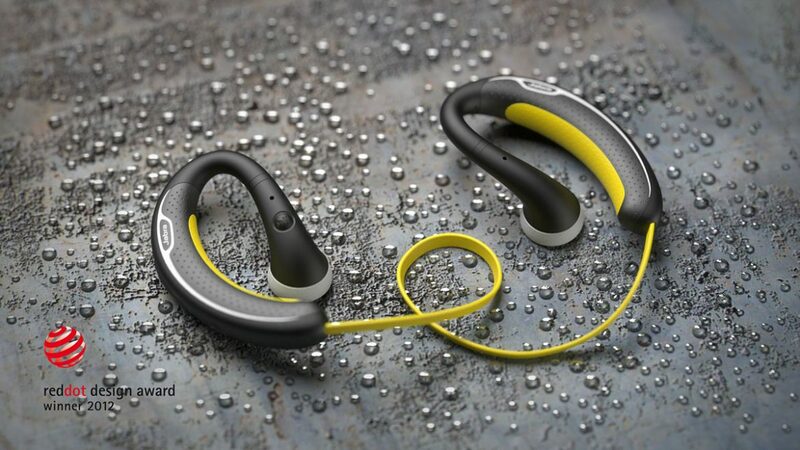 The color scheme takes its stand-point in the Jabra sport series of colors: black & yellow.